Discover the only Sic Bo strategy and tips that actually work! Did you notice how often we use dice as a symbol of gambling? A die is one of the most famous gambling objects that’s used for all kinds of gaming. For more than 4000 years now. Ironically, there are only two popular gambling games played with dice. Craps and Sic Bo. While many players know Craps, at least from Hollywood movies, Sic Bo is a lot more mysterious Casino game. Not many people know how to play the game, let alone how to win at it. And that’s exactly what we’ll try to look at in this article - how to play and win Sic Bo games. Sic Bo is one of the easiest Casino games to play, yet you wouldn’t say so when you take a first look at the Sic Bo table. It has designated places for 50 different bets. And that can be overwhelming for anybody. But if you take a closer look at the bets, you’ll see they are not thaaat much complicated. Essentially, you can place bets on dice numbers and their sums. You win if any of those numbers/sums are rolled out and you lose if they aren’t. Most bets have different payouts, house edge, and possible winning combinations. You need to have an idea about it all if you want to win at Sic Bo. At the smallest level, you can bet on any particular number to be rolled on the dice: 1, 2, 3, 4, 5, or 6. If the number appears on one of the dice, you win 1 to 1. If on two dice, 2 to 1. If on all three, 3 to 1. With Combination bets, you bet that two particular numbers will roll out on two out of three dice, e.g. 1-2, 1-3, 1-4, 1-5, 1-6, 2-3, 2-4, and so on. When you’re right, you get a payout of 5 to 1. Double bets work the same way, except they cover the cases when those two numbers are identical, e.g. 1-1, 2-2, 3-3, and so on. Thus, you can sometimes hear Double bets being called Two of a Kind. They pay pretty fine, too - 10 to 1. Three-dice bets have the most categories because it involves not only particular number-on-dice bets but also bets on sums of these numbers. Triple bets work the same way as Double bets, except they involve all three dice, e.g. 1-1-1, 2-2-2, 3-3-3, and so on. You can bet on one (or more) of the six triples. As you can imagine, these bets have the lowest chances. Naturally, it makes them the most paying ones - 180 to 1. Though, you don’t have to be completely specific every time. You can also bet that there will be a triple, without specifying which one. If you win, that pays 30 to 1 which is not that bad either. Small and Big bets in Sic Bo will remind you of High/Low bets in the Roulette game. You bet that either the dealer will roll out the smallest (4 to 10) or biggest (11 to 17) sums. If you’re observant, you may have noticed the 3 and 18 are missing. That’s because you can only roll out 3 or 18 if you have the same number on each of the die (1-1-1 or 6-6-6). Thus, these sums fall under the Triple bets. And Triples, sadly, always make you lose on Small and Big bets. Sum bets are all the Small/Big bets sums separately - you can bet on any sum between 4 and 17. Each of the sums has different payouts based on the available winning combinations. For example, you can get a sum of 17 with only three combinations (6-6-5, 6-5-6, and 5-6-6) while to get 10 there are 27 different combinations (1-3-6, 2-2-6, 3-3-4, 4-5-1, and so on). Naturally, the sum of 17 will have a better payout (60 to 1) than the sum of 10 (6 to 1). Thus, Sum bets payouts vary between 60 to 1 and 6 to 1. You can find them all listed in the table below. 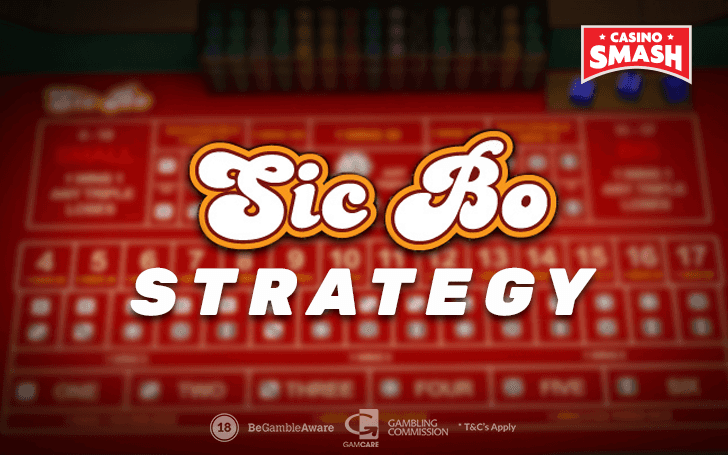 Sic Bo is a game of chance, thus it has limited options for implementing a strategy. You can’t use advantage play, you can’t predict the upcoming numbers from the previous ones, and James Bond hasn’t played Sic Bo, so you cannot use his betting strategies for inspiration either. Betting systems and helpful tips. making the bets that are the most likely to pay and avoiding the bets that are designed to lower your chances of winning. You can make the distinction between such bets by looking at the list of house edge and winning combinations for each of the bets. Payouts included, too. the Sum of 9 or 12 - 18.99 percent. Unless you want to get rid of your bankroll as soon as possible, don’t make these bets your priority. Better yet, don’t place these bets at all. They’re made to seduce you with big payouts and drain your bankroll. Similarly, I wouldn’t go for bets that has a house edge above 10 percent. You can make them occasionally, but keep your focus on bets that are favoring the House less. The house edge is least against you when you place Big and Small bets. They pay even money which is not that spectacular but the house edge here is smallest. Thus, if you consider playing the game in the long term, that’s where your focus should be. While playing only Big/Small bets may get boring soon, you can add some other bets to spice it up. But you should bet on Big or Small sums most of the time. The Single-Die bets are your second best option. You don’t specify how many dice will show up with your number, so you get paid even if it shows up on only one die. If it shows up on two or three dice, your payout is even better. Don’t forget that you can make multiple bets at the same time. For example, Small bet + Single Die bet on 1, 2 or 3 to cover more possibilities. You can play around with these bets to find your perfect combo. It’s easy to do when you’re playing Sic Bo online - especially when you practice the games for free. : free play, bonus play, and real money included. All in one place. 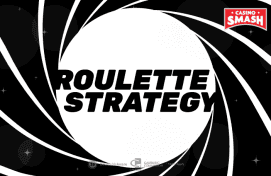 You may have heard of the Martingale system in Roulette or Craps. Sic Bo is another game where you can use it. You need to double your bet every time you lose. Then the next win would be big enough to cover your previous losses and add something extra on top. After you win, your wager should go back to its initial amount. Obviously, you cannot use the Martingale system if you don’t have a sufficient bankroll. So, consider your bankroll before playing and using this system. Plus, even if you decide to use the Martingale system, still consider the useful bets mentioned above. And don’t mix up the bets every round. If you lose many Specific Triple Bets every round and then win with one even money bet, it may not be enough to cover all the previous losses.